Once upon a time, there was a whimsical fairytale nursery collection that was inspired and designed by Evolur. 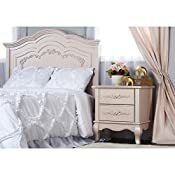 The Victorian style design incorporates style, function and elegance; it features soft, feminine carvings, crystal and metal knobs, Queen Anne style feet, and an intricate ribbon and bow scrollwork on the drawer front, which creates a room as if taken straight from the pages of a fairytale. 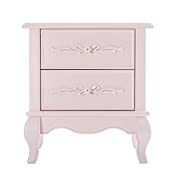 This night stand features two large drawers with quality side-mounted 3 tier glides for smooth open and close. The Evolur Aurora night stand is crafted from durable solid wood to work effortlessly throughout the years. 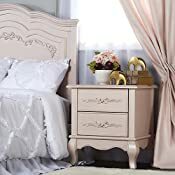 This multiple function night stand can also be used in other areas in the home for keepsakes, pictures frames, books and beautiful decorations. 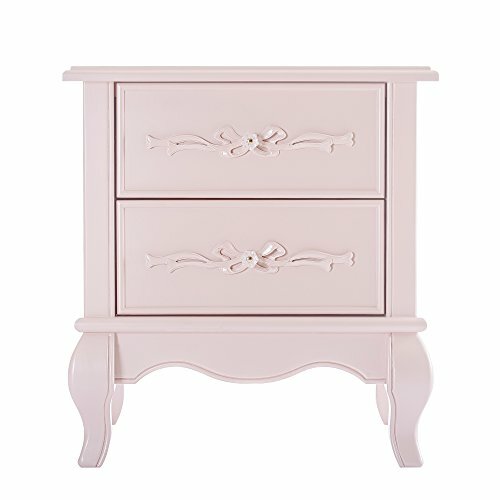 This enchanting night stand from the Evolur Aurora collection is available in Ivory Lace, Blush Pink Pearl and Akoya Grey Pearl finishes which will transform your little princess nursery or room into a real life fairytale. Expertly crafted with a kiln-dried wood frame and fine veneers.